The St. Thomas Aquinas Women’s Club will hold their Spring Rummage Sale on Saturday, April 7, 9PMAM-4 at 103 Center Street, Bridgewater. 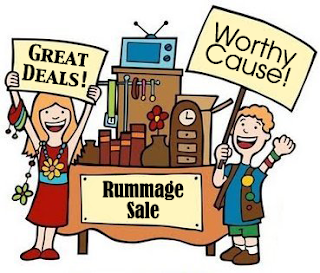 Come find treasures from a wide selection of clothing, jewelry, domestics, furniture, bric-a-brac and much more. $2.00 –a-bag from 2:00-4:00.